/ Is Chest Pain After Quitting Smoking Normal? 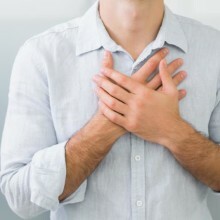 Are you finding that you are suffering from chest pain after quitting smoking lately and you are worried that it might be a sign of something more serious? Maybe you have a ton of problems that are making it really hard for you to stay away from smoking. No one wants to put themselves through pain and anguish when they are trying so hard to give up smoking. Which is why we are going to discuss chest pains after smoking, what can cause them and why you shouldn’t worry too much and keep on track. You’ve come this far, you can stay smoke-free for the rest of your life, you just need a little reassurance. You might be fed up right now about the fact that you are trying to make yourself healthier by giving up smoking, but all you seem to feel is worse. You can breathe again because your lungs are opening up, but you are getting horrible chest pain that can sometimes be hard to disguise. So why is this happening? Well, really it is your body healing itself and making itself healthy again. It just takes some time. Imagine how long you have been smoking for and how much tar and additional chemicals are inside your body. Then think about how long it is going to take to remove those things from your body. Your body needs to be clear from all of this before it can even begin to heal. You might be feeling chest pain after quitting smoking and other symptoms such as a chesty cough, headaches and a sore throat. These are all side effects of the withdrawal of nicotine from your system and these symptoms will subside with time. There are ways that you can help ease the pain by using over the counter medicines which will give you a bit of relief without having to go back to smoking. Many people worry that chest pain after quitting smoking could be something more serious. If you are concerned then you should consider talking to your doctor. 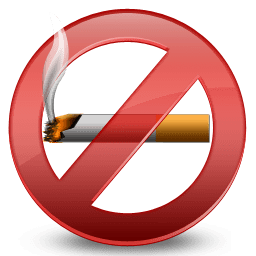 If you don’t have any other symptoms or your symptoms get worse then it may be a case that your smoking has affected your health more than you think and you may need additional support to get better. All in all, being smoke-free is the healthiest way to live your life, so no matter what symptoms you are suffering from at the moment, try to stick with it!